OfferUp delivers a good alternative to Craigslist and eBay -- and engages users as much as Snapchat. OfferUp's co founders, Nick Huzar (CEO) and Arean Van Veelen (CTO). We all have odds and ends sitting around that we wish we could sell, and the solutions in the past two decades have been either Craigslist or eBay. OfferUp, with its easy-to-use mobile app, delivers a good alternative, and investors agree: Its latest funding round brought in $119 million, the company announced yesterday. "We’re growing incredibly quickly, which I think is a testament to the company we’ve built," OfferUp CEO Nick Huzar, who launched the company in 2011 with co-founder Arean van Veelen, says via email to Entrepreneur. "We are committed to building the best experience possible and we will continue to innovate when it comes to making buying and selling as seamless as possible." The company came out of stealth in 2015 and quickly amassed a large user base. Mary Meeker’s annual Internet Trends report cited that OfferUp users spend an estimated 25 minutes a day on the app, equivalent to how long Snapchat users spend on Snapchat. 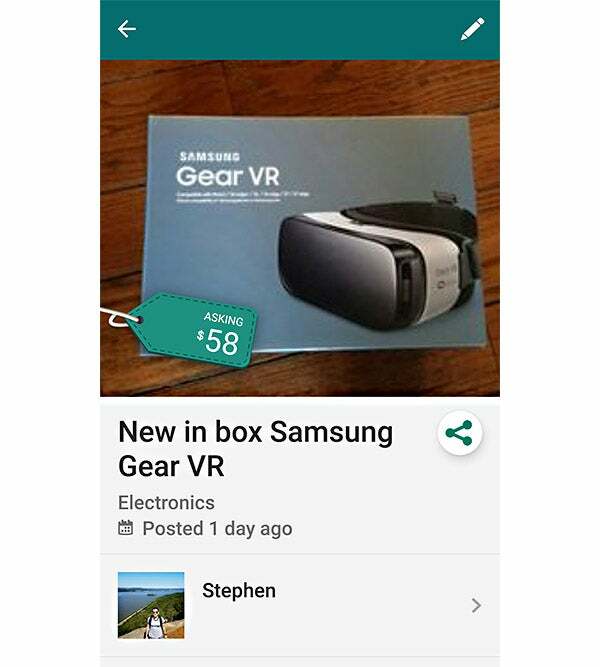 I used OfferUp on my smartphone this week to list an extra Samsung Gear VR headset I've had sitting around for months. Compared to listing it on Craigslist, OfferUp took less time and was much simpler. I received an offer for the headset the day after I listed it, although I haven’t sold it yet. The app's buying page, which is reminiscent of Pinterest, is also easy to browse. Huzar came up with the concept of OfferUp when he found out his wife was pregnant. He needed to sell some things that were taking up space in a guest bedroom to turn it into a nursery, and he sought a simple, mobile solution to do so. He says the Bellevue, Wash.-based company plans to use the latest funding to "build out our team -- we’ve more than doubled in size over the last year and we’re still hiring -- and invest in the product." Related: How Do You Incentivize Kids to Do Better in School? Build a Social Network That Rewards Them. The series C-1 round was led by Warburg Pincus, a global private equity firm, and joined by new investors GGV Capital and Altimeter Capital. Previous investors include Andreessen Horowitz, T. Rowe Price, Vy Capital and Coatue Management. As to what advice helped Huzar reach this point is his career? "Be persistent," he says. "Just keep running the ball downfield. Find the best people you can find and take them on the journey with you. As a result, you'll still make some mistakes, but in the end you'll produce outcomes faster."